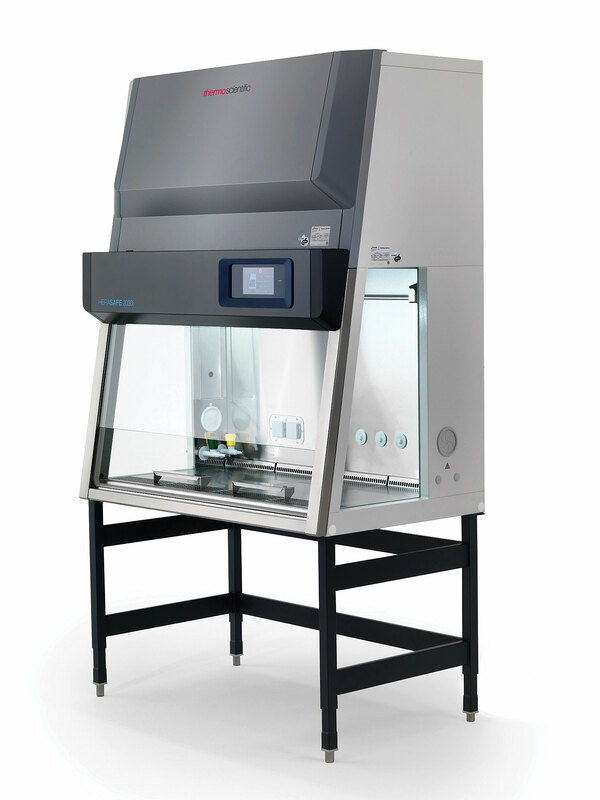 The HeraSafe 2030i is a cloud-enabled biological safety cabinet (BSC) specifically developed to address the need for uncompromised contamination control, seamless workflow connectivity, and enhanced ease of use in cell culture laboratories. Driven by customer input, the cabinet has been designed to set new standards in laboratory performance and productivity, transforming the way biopharmaceutical, bioproduction, clinical diagnostics, and applied research applications are being performed. The cabinet enables secure remote collection and storage of data, facilitating superior analytical reproducibility and traceability of results. Incorporating a set of self-managed security features, the HeraSafe 2030i unit delivers optimal protection from airborne contaminants, without requiring any user interference. It has been equipped with an advanced, intuitive graphic touch screen for simplified operation, which displays internal BSC conditions, such as airflow patterns while providing information on errors and usage manipulations and how these could be addressed to promote experimental success.